Fog before winter season coming in this year, 2017 at Doi Monjam, Chiangmai, North of Thailand. 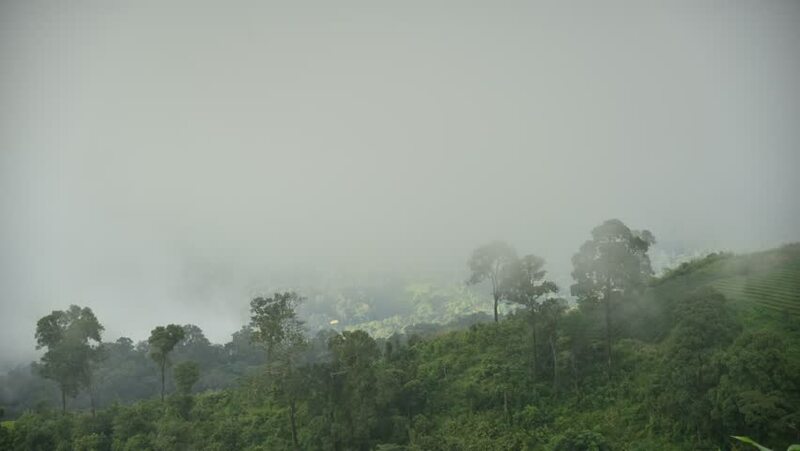 4k00:20clouds moving over green forest mountain in the morning,Rainy season in Thailand,fresh air from earth,foggy and hazy sky over mountain. 4k00:09Misty rain forest, Bwindi Impenetrable Forest national park, Uganda. 4k00:21Kathmandu Valley in Nagarkot, Nepal. Nagarkot is a famous hill station for it's beautiful views of the especially Mount Everest. Shot on Red Scarlet.